I'm a tarot reader, teacher, and mother. My readings help to bring light and honest counsel to any confusing situation. I offer insight into the possibilities of your journey and support for the choices you do make. Awesome reading very detailed and clear. Thank you!! Once again Lavena is just dead on accurate. Said my POI would not book flights till I texted him. Said he’d be flirty and fun. Said I’d be a little bummed because I’d feel like I wasn’t a priority/there may be a delay (turns out his flight won’t get in till late afternoon). Literally all came true. Crazy accurate. And CONSISTENTLY accurate. No pressure, Lavena - but you’re awesome! Details she picked up on were mainly incorrect. She did get some other things spot on that were helpful. I'd be honored to do a reading for you today. I consider myself an intuitive healer; I am Reiki II certified. I will use a variety of tarot decks to give you an honest reading. The reading I give you may not always be what you want to hear, but it will always be what you need to hear. I work best with specific questions. Timing isn't very important to me. You may ask about timing, but I do not consider timing predictions my talent. My gifts involve helping you to understand the big picture and the spiritual issues around the experiences in your life for your growth and learning. Email readings are $19.95 per question and average one page in length per question. New clients must pay for email readings in advance. I will send a payment request. Allow 24-48 hours for your email reading to be complete. Specialty readings, like yearly forecasts, are available at higher rates. Prices average $30-$50. Email me if you have a special request, and I can give you more information. If you are pleased with your reading, please leave positive feedback! It is always appreciated! TarotbyLavena has been a user of Keen since 2004. 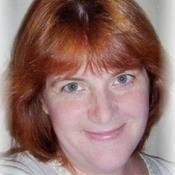 Getting Tarot Readers advice from TarotbyLavena through www.keen.com is safe, secure and confidential.